Samsung Electronics Co. Ltd.. has the production of a new series of "Middle Power" LEDs with the Started LM561B designation. The new devices offer the industry's highest efficiency and are suitable for use in many LED lighting applications such as LED tubes, LED ambient lighting, ceiling lights (downlights) and Retrofit lamps. 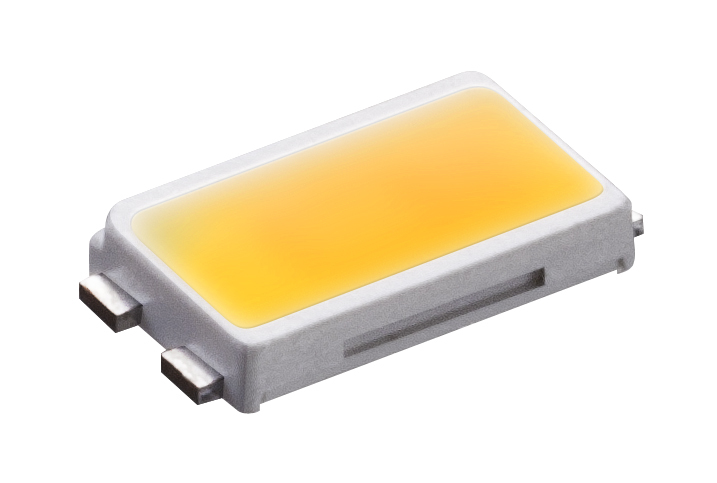 The new model LM561B offers a luminous efficiency of 160lm / W. This is currently the world's highest attainable value for "mid power"
lower power consumption and improved Thermal management. The improved heat dissipation means that smaller Heat sink can be used. This saves material costs and enables customers to develop more compact, flexible and innovative products. "Our customers get LM561B due to the high efficiency and the great diversity of color temperatures with a product of currently the highest quality of light on the LED market, "says Jaap Schlejen, Senior Vice President, Sales and Marketing of LED Lighting Samsung Electronics. "We will offer our product in the future optimize and advanced LED solutions to the market, which clearly meet the needs of customers. " The product line LM561B from Samsung has a large selection of Color temperatures. And you will in three brightness levels as "Quarter binning" offered to customers in production LED lighting can leverage the maximum potential and no concern for consistent quality or Must make differences in brightness. Samsung will officially LM561B his family at Lightfair International 2013 (booth # 2645) to present. Moreover the company's other LED packages and new LEDs, lamps and L-tubes present. The LIGHTFAIR International takes place from 23 to 25th April 2013 at the Pennsylvania Convention Center in Philadelphia instead.